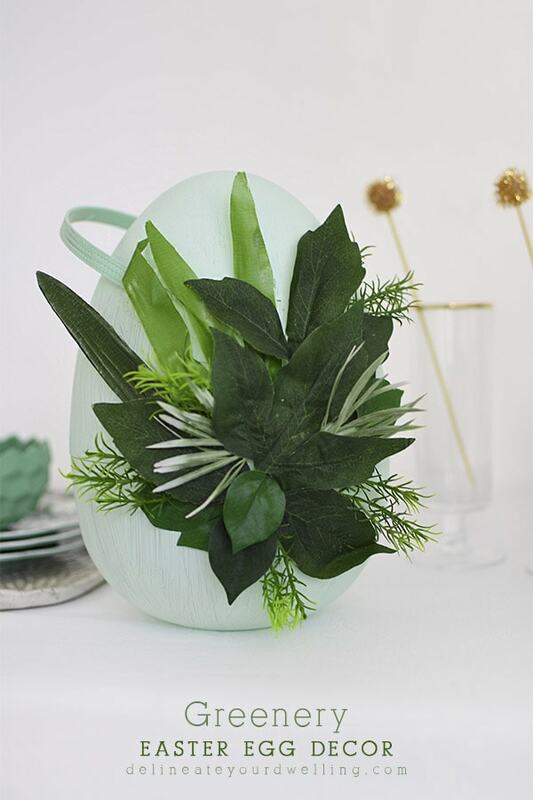 INSIDE : Learn how to take your Easter decor to the next level with a simple DIY Greenery Easter Egg decor centerpiece craft project. 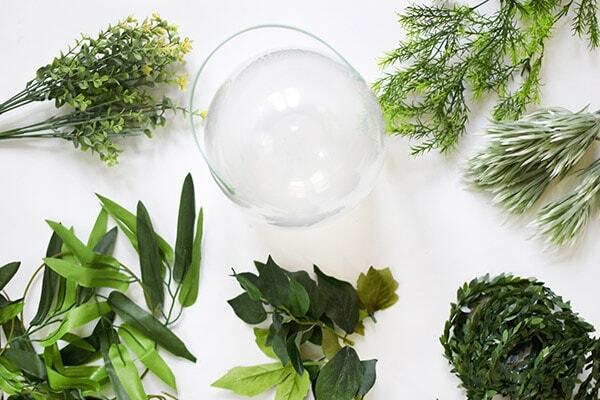 Are you a plant lover like me? You might be interested in a few of my other Plant Crafts! Who else is in disbelief that today is April 1st? 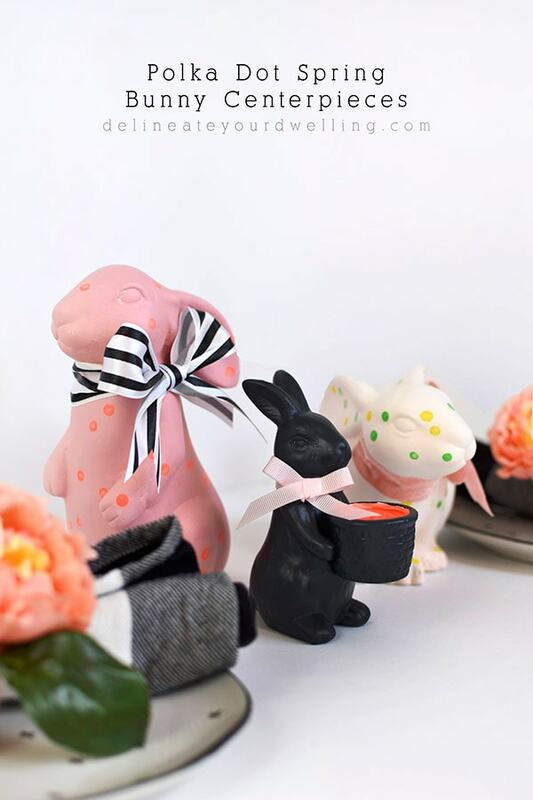 Spring is in full force and Easter is just around the corner. 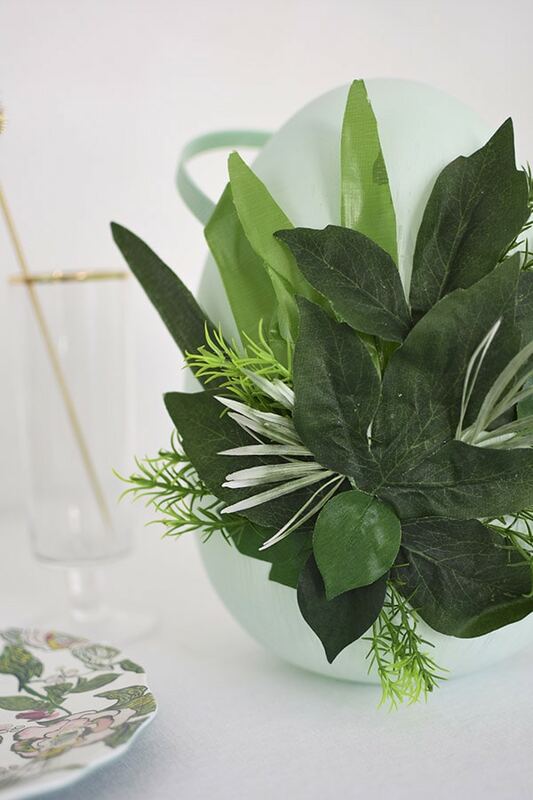 Check out how you can take a few simple supplies and create a gorgeous centerpiece for your table. 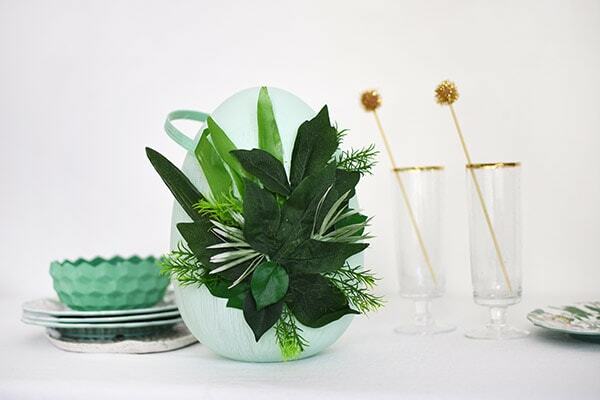 What supplies do I need for an Easter centerpiece? 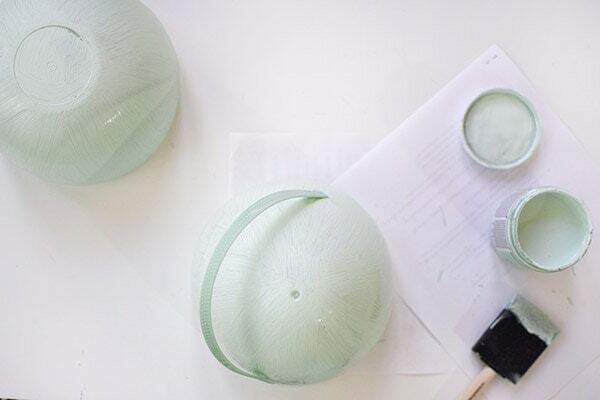 Start this project by painting your jumbo easter egg. I decided to paint mine in a mint green chalk paint. I like chalk paint for painting on plastic because the chalk paint sticks to the plastic with ease. I ended up doing two coats of paint, be sure to allow for proper time to dry between each coat. 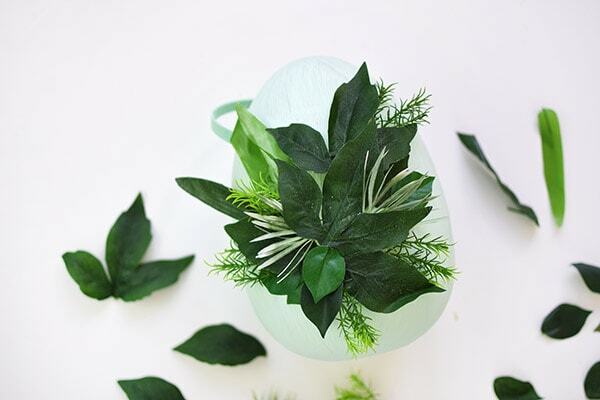 Once all the paint has adequately dried, you can start adding the faux greenery. 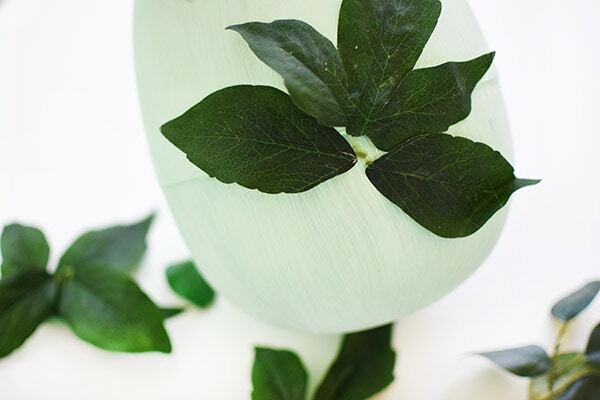 I began by cutting all the stems and leaves so it would be easier to lay flat on the egg. 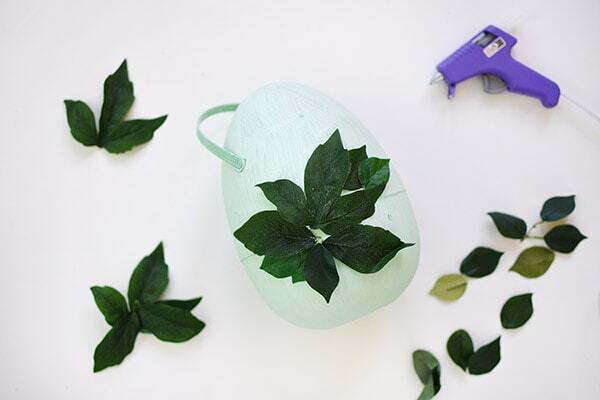 Rest your jumbo egg on it’s side and begin placing the larger base leaves first. I used a hot glue gun to get the leaves in place. 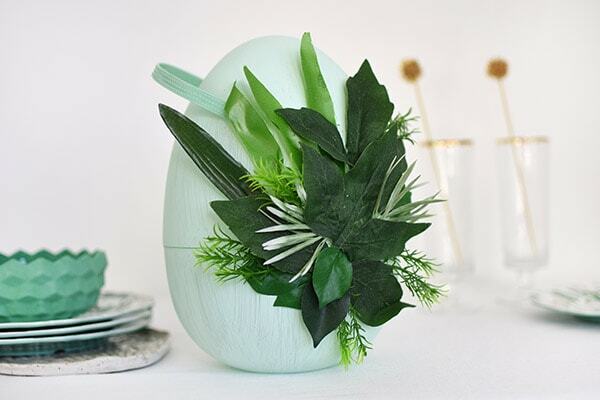 Slowly add more layers of faux leaves and greenery to your egg. 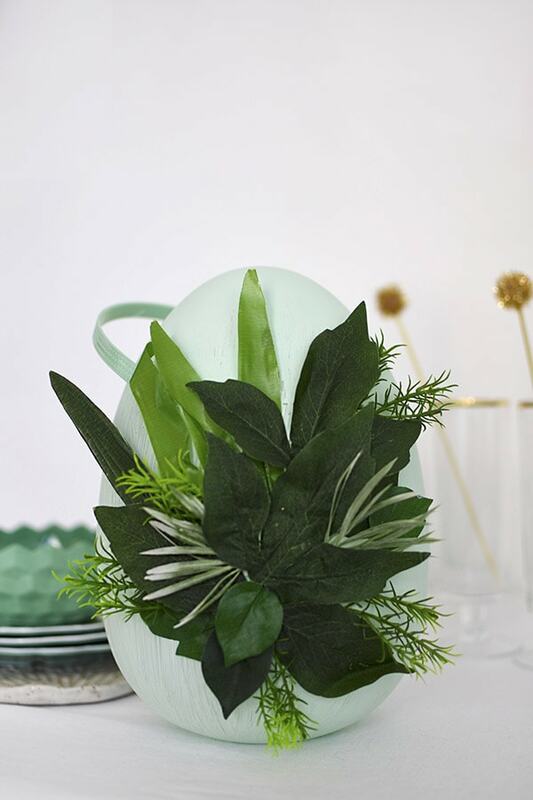 Tuck different textural leaves underneath to create more dimension and depth. 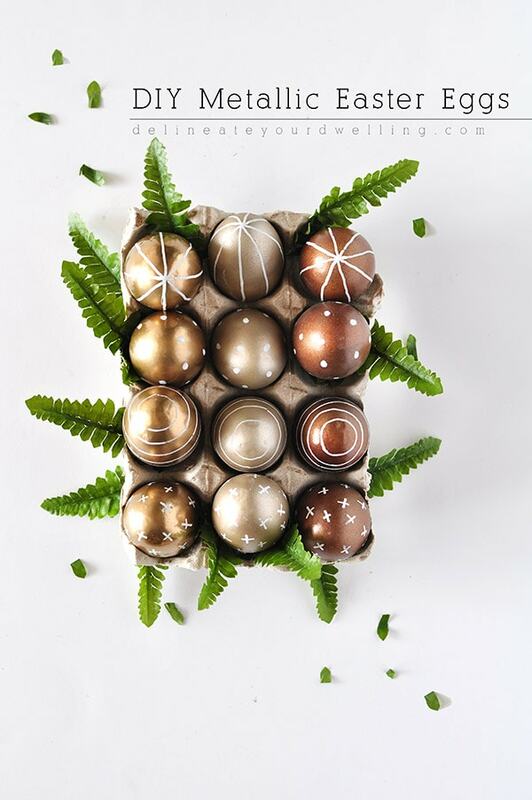 The finish product is a gorgeous Easter Egg to put out on display in your home! I set out a few of my fun decorative dishes and glassware and I’m immediately ready to have a party! 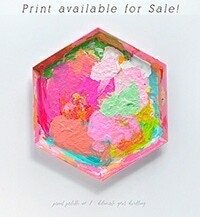 I love that you could also put this at front entry table, on a mantel or bookcase. The jumbo egg is large enough to make a statement but not so big that it overtakes your home. 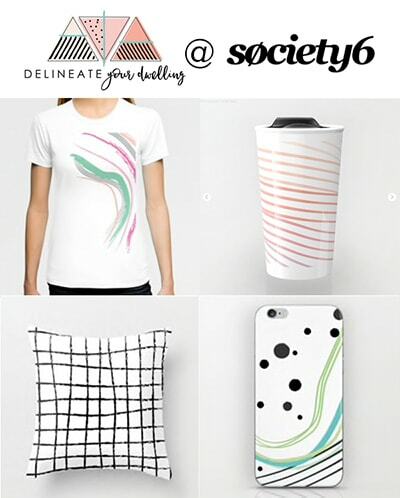 If you loved this easy DIY, be sure to pin this great project for later! 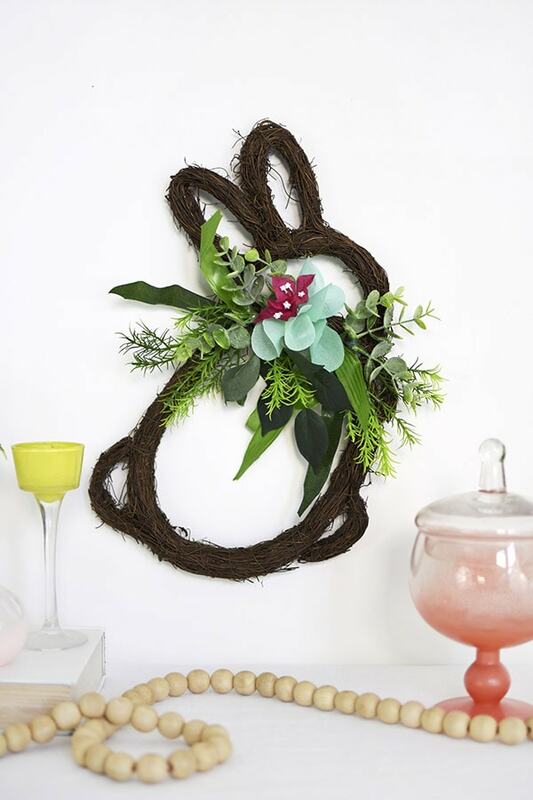 Looking for more Easter decor for your home?